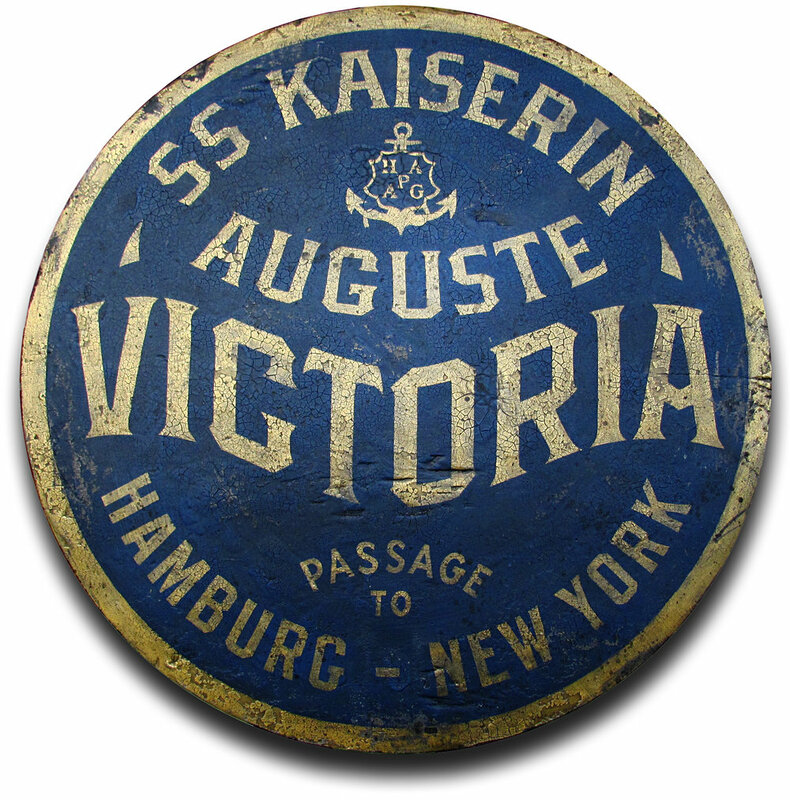 In 1907, our family’s ancestors made the life-altering, one-way, transatlantic voyage from Germany to New York on Hamburg-America Line’s magnificent flagship. Built in Poland in 1905, it was the world’s largest luxury ocean liner (1,897 passengers) until Cunard’s ill-fated Lusitania (2,198 passengers) outsized it by 100 feet just one year later. During its 25 years of service, the 678 ft. twin-screw behemoth brought thousands of immigrants to America, served briefly in WW1 as a U.S. troop repatriation ship, and in its final decade sailed as the newly remodeled RMS Empress of Scotland. Paul Simon’s poetic “American Tune” comes to mind when imagining my ancestors, and thousands of other immigrants, leaving everything behind to start to a new life in America. Gracefully domed three inches at the center.